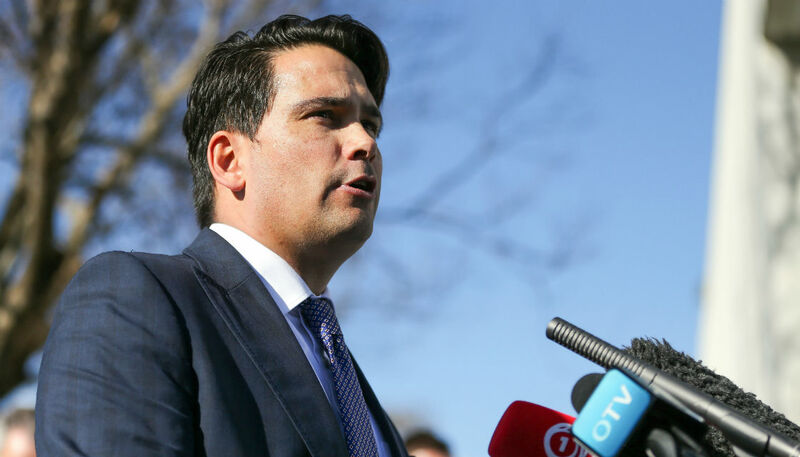 National Party leader Simon Bridges has suggested the leak of his expenses details came from "a Government that has been trying to distract". Mr Bridges' travel expenses were leaked to Newshub on Monday last week, a couple of days before they were due to be released along with every other MP's records. The result was two days of coverage focused solely on Mr Bridges, and how he'd spent far more money on limousines and accommodation than any other MP. Mr Bridges called for, and received, an inquiry into who leaked his details. He told The AM Show on Monday he still has no idea who gave the documents to Newshub. "It's in the hands now of Trevor Mallard, so I suppose we'll see where he takes it and how it goes. I wouldn't overplay it in as much the figures were always going to come out, so in a sense, kind of, who cares? "The other side of it is though, look. I think it is important for Members of Parliament to have a confidence about what happens with this sort of stuff, and so I hope we get to the bottom of it." Mr Bridges didn't specify what it was he believes the Government was trying to distract from. He said he's confident it wasn't one of his own MPs that leaked the information, then went on the attack. "Obviously we'll find out... I think ultimately you've got a Government that has been trying to distract. You've seen Winston Peters with fake news about me trying to have a deal with Ron Mark and all manner of things." New Zealand First leader Winston Peters last week claimed Mr Bridges approached Mr Mark and offered him the seat of Wairarapa, which has been held by National since 2005. Mr Mark came third in 2017 and 2014. "It's just nonsense... I have no idea what he's talking about. I've certainly not talked with Ron Mark about a deal." But he's looking forward to sitting down with Geoff Simmons, the new leader of The Opportunities Party (TOP). "I think there's real potential for the TOP party, in as much as I think they could raid the Green Party's territory. "If you think about the last election they did remarkably well - they got nearly 3 percent. For a new party - now let's be fair, they did spend quote a bit of money... they didn't quite get there. Let's see what happens." TOP got 2.4 percent in 2017, despite then-leader Gareth Morgan spending $2.3 million of his own money - more than both Labour and National spent. Mr Bridges says TOP could win votes from the Greens, but sees them as a much more credible potential coalition partner. "If you look at the Greens they're always divided between the protesters and those who are more realistic. It seems to be TOP has the makings of something that's more centrist and more realistic, very evidence-based." National is riding high in the polls, but lacks a partner to go into coalition with. United Future and the Māori Party were eliminated from Parliament in 2017, and ACT's vote has collapsed to a sole MP. "The reality is we're polling incredibly strongly... but I acknowledge the need for partners," said Mr Bridges, saying he's "not not-open" to a deal. "I've always said actually, you know what? We'll see some incredible options come up. I'm not going to lay all cards on the table today, but I think the TOP party is credible. It is centrist. I think it'll give the Greens a bit of a run for their money." He is yet to meet Mr Simmons.